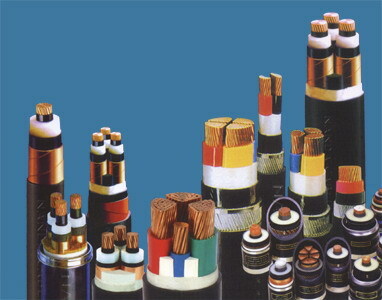 This types of power cables was based on the IEC 60502 (Extruded Cable Insulation), IEC 60331 (Fire Resistant Cables) and IEC 60332(Cable Fire Tests). H1 - Multicore XLPE/SWA/PVC power cable, 6/10kV voltage grade, stranded copper conductor, flame retardant in accordance with IEC 60332- Part 3, CAT. ‘A’. H2 - Multicore XLPE/SWA/PVC power cable, 3.6/6kV voltage grade, stranded copper conductor, flame retardant in accordance with IEC 60332- Part 3, CAT. ‘A’. P2 - Multicore XLPE/PVC/SWA/PVC power cable, 600/1000V voltage grade, stranded copper conductor, flame retardant in accordance with IEC 60332- Part 3, CAT. ‘A’. P3 - Multicore XLPE/PVC/SWB/PVC power cable, 600/1000V voltage grade, stranded copper conductor, flame retardant in accordance with IEC 60332- Part 3, CAT. ‘A’. P4A - Multicore EPR/EMA/SWB/EMA power cable, 600/1000V voltage grade, stranded copper conductor, flame retardant in accordance with IEC 60332- Part 3, CAT. ‘A’. P4B - Multicore EPR/EMA/SWA/EMA power cable, 600/1000V voltage grade, stranded copper conductor, flame retardant in accordance with IEC 60332- Part 3, CAT. ‘A’. P5 - Multicore mica glass tape primary insulation, EPR insulated (MGT/EPR/SWB/EMA), 600/1000V voltage grade, stranded copper conductor, fire resistant in accordance with IEC 60331/60332- Part 3, CAT. ‘A’ (LSZH). F4 - Multicore mica glass tape primary insulation, EPR insulated (MGT/EPR/SWB/EMA), 250/440V voltage grade, stranded copper conductor, fire resistant in accordance with IEC 60331/60332- Part 3, CAT. ‘A’ (LSZH). I2X - Multicore PE/PE/SWB/PVC power cable, 600/1000V voltage grade, stranded copper conductor, flame retardant in accordance with IEC 60332- Part 3, CAT. ‘A’. H1 and H2 - For High Voltage power and motor feeders (11kV or 6.6kV). P4A - For Lighting and Power distribution cable size 10mm sq and below in shelter areas. P4B - For Lighting and Power distribution cable size 16mm sq and below in shelter areas. F4 - For Resistance Temperature Detector cables.